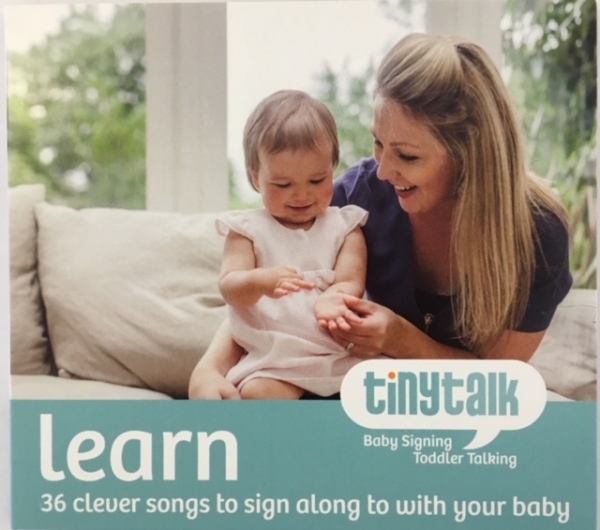 'learn' - a CD of 36 counting songs to sign along to with your baby. This CD is what your baby has been waiting for. It has been designed especially for them. There’s no distracting background ‘music’. It’s just the counting songs on their own (all 36 of them), sung slowly to help little ones learn to listen and develop their language skills. The songs are also sung at the TinyTalk classes so the tunes, words and signs can all be reinforced (or practised) at home during the week. It has also been proved to be particularly effective on long car journeys. "Brilliant for learning a wide range of songs." "Great to take in the car and saves your voice on a long journey." "I purchased the CDs so we could sing along to all the familiar songs at home and in the car. Each song is quite short and there are lots of different ones. There’s no background music so you can really focus on the words and the tunes. Lovely!"